Collaboration with teachers is the foundation of UNAGB’s unique partnership with middle school, high school, and university classrooms. Interested in doing School-Based Model UN? Read on to find out how this engaging curriculum framework can be tailored to the needs of your students. Principals, classroom teachers, and school advisors tell us that Model UN helps their students develop the skills emphasized in the Common Core, learn about important world issues and that the students love it! 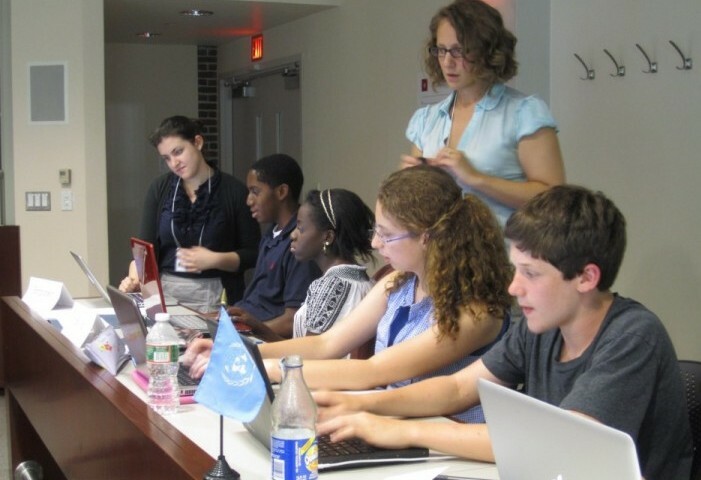 Students in grade 5-12 at district, charter, and independent schools engage in Model UN as in-class curriculum. Bring Model UN to your school this year! The UNAGB partners with schools for 3-week units of study as well as a semester or year long programming. To request a price menu, contact Caitlin.